1 hotel with a sea view is waiting for you in Arradon. 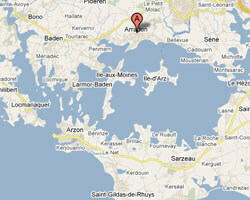 Arradon is located near Vannes, on the north shore of the Gulf of Morbihan. Arradon offers 15 kms of south-facing coastline with a coastal paths for hiking. At the seaside you can find a beach and coves for swimming. 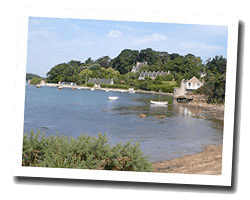 The Arradon’s Cape offers a beautiful view on the Ile aux Moines and the Irus island. A marina expects sailing lovers. In Arradon enjoy the pleasure of a sea view hotel.